In the medieval village..History, delicacy, surprise and magnificence! For room size, possibility to add one or two beds of emergency. The old town is in the pedestrian area and is still preserved in its old city walls on the headland infact its fortified coastal position is very appealing. Inside the walls there are picturesque old buldings, atmospheric lanes and stairways, enticing café, restaurant tables set around corners and on terraces, old women sit in doorways weaving baskets, beckoning tourists over to admire their displayed goods often very elaborate and attractive far superior to the contents of souvenir shops. 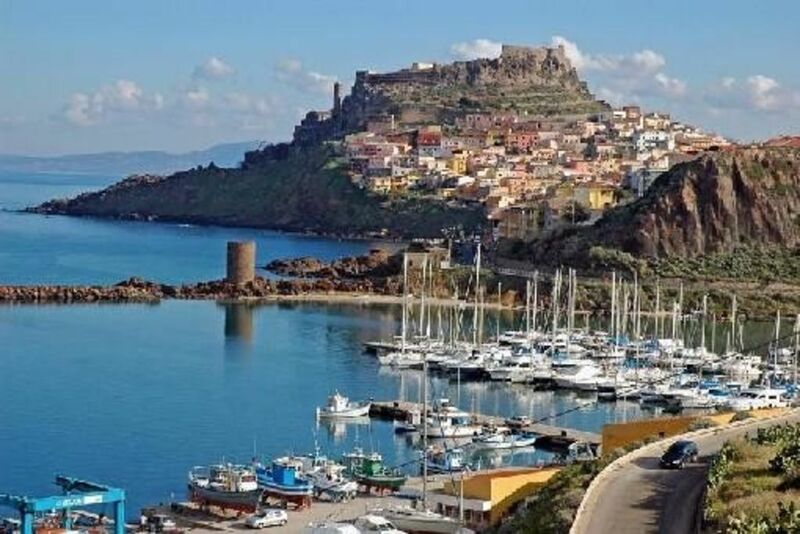 Perched on a large promontory facing the sea, Castelsardo with its Citadel, o Casteddu quarter - the maze of twisted narrow streets in the old town - offers an enchanting vision. In fact just about anywhere you look, from whatever perspective - with the exception of the view of the modern quarter of Pianedda and the seaside area by the Marine - the promontory of Castelsardo offers picture-postcard views, especially of the Castle, which today houses the Museum of Mediterranean Basketry and Wickerwork and is also used for conventions and cultural events. With its endless steps and the labyrinth of narrow streets lined with the typical tall, narrow houses, and stone-paved squares, the historic center preserves the layout it has had since its founding in 1102, over 900 years ago.